On a cold and rainy afternoon I take my bike across Copenhagen to meet the Brazilian singer, Clara Valente, her husband, producer Gui Gautreaux, and the Danish jazz band, Astro Buddha Agogo in the studio. As the door opens I am greeted by the most joyful tunes, making me forget about the rain and the cold. Inside the rehearsal room, I meet Clara, Gui and the band busy practicing one of the numbers that they during the week will produce for a compilation album that Brazilian producer, Mauricio Pacheco, is developing in cooperation with Danish Cultural Institute. The album will be the culmination of the project Musical Bridges that – with a focus on co-creation – invites a number of Danish and Brazilian artists to develop music together. Whereas Dinâmica Dinamarquesa primarily introduced Danish musicians to the Brazilian market, Musical Bridges takes it a step further and focuses on the co-production of music between Danish and Brazilian artists. 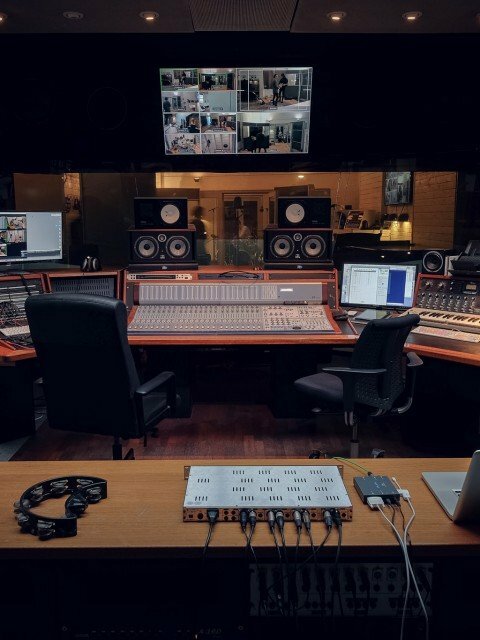 In June 2016 the grandchild of bossa-nova legend Tom Jobim, Daniel Jobim, went to Denmark to record with Danish guitarist and composer Jakob Bro. The collaboration developed into a mini tour in Brazil, where they played two concerts, one at the Danish pavilion in Rio de Janeiro and subsequently at a sold SESC Pompeia in São Paulo. Now the time has come to the meeting between Astro Buddha Agogo and Clara Valente, who are currently in the middle of recording. Their smiles are big because everyone knows that they are creating something quite exceptional. Clara Valente and Michael Blicher being interviewed for Brazilian journals about their experience of recording together. During their four years together Astro Buddha Agogo has played over 600 shows nationally and internationally. The band consists of Michael Blicher on saxophone and flute, Dan Hemmer playing the Hammond Organ and Anders Holm on the drums. The musical style is influenced by jazz, blues, soul and gospel, revolving around a focus on grooves and a positive charisma. Clara Valente has her roots in Brazilian MPB (popular Brazilian music) and characterizes herself as “1000 things”, which she also chose to call her first album. After the meeting in June 2016 between Daniel Jobim and Jakob Bro, both of which gain much inspiration from the bossa-nova genre, Pacheco chose to extend the musical bridge even more by pairing Astro Buddha Agogo and Clara Valente, exactly because they come from two different genres. Where Clara Valente is a singer-songwriter in the MBP genre, Astro Buddha Agogo is dedicated to the world of jazz and soul and this particular composition makes it possible to develop new tones. Clara Valente produces her own music and is constantly looking for new inspiration. After the release of her album last year, she was on tour in the US and Europe and is assessed by Pacheco to have the potential to internationally represent a new wave of Brazilian music. On her album, you can hear a set of music genres, such as samba, afrobeat, tango and electronica mixed with modern pop, making her particularly interesting to the Cultural Bridges project. Astro Buddha Agogo, according to Pacheco, are amazing musicians who have engaged in a number of challenging projects, working with legends in pop music, such as Steve Gadd. In other words, the stage has been set for creating new music of high artistic quality. Maurício Pacheco talks about the idea behind the project: “To me this is a good opportunity to create a stronger link between the two countries that are so different but clearly have the joy of music and an innovative approach to common. Both Brazilian and Danish artists are open to cooperation and to explore the limits of music.” Pacheco has been in Denmark several times, most recently to do a segment on Roskilde Festival for Brazilian TV. He says of the Danish music scene: “The first time I was in Copenhagen, invited by the Danish Cultural Institute, I was amazed by the quality and creative minds that musicians exhibit here and this inspired us to create this new space for collaborations between Danish and Brazilian artists.” The pairing of artists involved in Musical Bridges are all chosen by Pacheco, who through his visits spotted a number of Danish talents. It has been really exciting to follow the artists' meeting, their dialogue via e-mails and to see them in the studio together, and we look forward to seeing the final product, a compilation which will be ready with a range of Danish-Brazilian musical collaborations. About whether their musical differences have made it difficult to create new music together, both parties say that this has only been a stimulating factor, but they also agree that it has been essential that both parties normally base their music on melodies and rhythm. Additionally, Michael mentions Astro Buddha Agogo’s trip to Brazil through the Danish Cultural Institute in 2014 as a major eye-opener for the Brazilian market and Brazilian music. 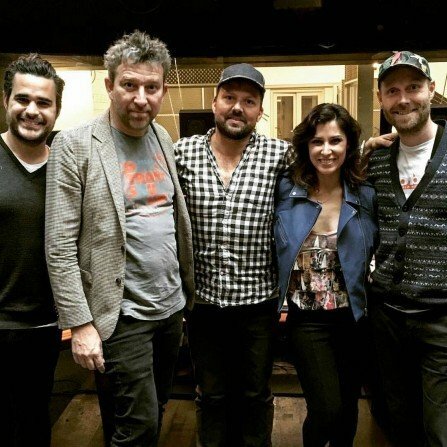 Besides cooperating on already existing songs, Michael Blicher and Clara Valente have created new songs together: “Michael and Clara have good synergy and have found time to compose a new song together, which is great for the project“, says Pacheco. When you really exchange - and I really think that we have done in this project - then I'm proud of us. I brought my song and Michael completely changed the harmony and rhythm of it. The band, Astro Buddha Agogo, completely changed the song's feeling. At the same time Michael sent me his song and I changed the text into Portuguese. I felt that the songs were new songs and it was beautiful to see. I'm really happy about it. When artists are asked what they will take with them from the project, both agree that the next step is obvious: They want to tour and write more music together, they both say and laugh. How and when this will happen they do not know, but they both agree that this week is only just beginning their musical journey together. The project Musical Bridges is developed by Mauricio Pacheco in cooperation with Danish Cultural Institute in Brazil. Moreover, the project is co-financed by the Danish Arts Foundation funds for music. For more information on the musical collaborations in the Musical Bridges project, please keep an eye on www.dinacultura.org.